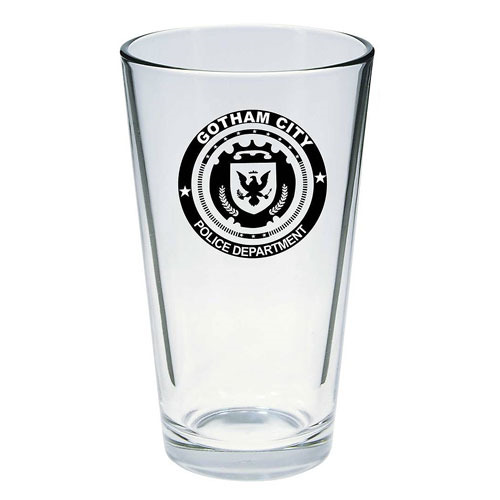 Raise a toast to fallen comrades, whether cops, gangsters or Robins, with this Gotham Police pint glass! From the TV show Gotham, forget the day's troubles with a glass from the Gotham City Police Department. The Gotham Police pint glass comes packaged in a full-color window box. Pint glass holds up to 16 fluid ounces. Ages 13 and up.